You have questions and concerns. You need answers from someone you can trust. 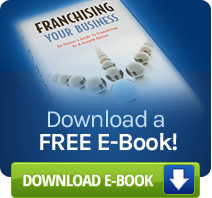 Francorp has consulted with over 10,000 businesses, and has guided more than 3,000 companies to franchise success. This expertise puts Francorp ahead of the game. Here are some suggestions about how to get started. No matter which way you choose, we’ll take good care of you when you call. You’ll learn what services we offer. Expect a timely response from a Franchise Analyst who will provide the information and guidance you are seeking. Contact Francorp now by filling out a contact form, or meet one of our Senior Consultants in person when you come to one of our Franchise Seminar.